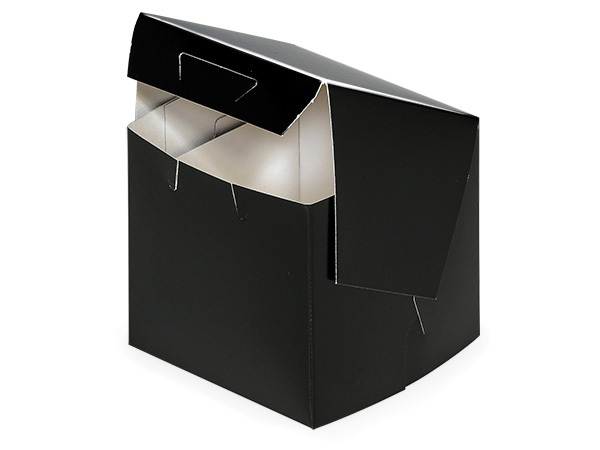 Our 1 piece folding bakery boxes will make beautiful packaging for cakes, pies, cupcakes and more. Boxes are front loading with locking corners. Boxes are gloss with white interiors. Can be personalized with chalk markers! Made of SBS board in the USA. Complies with FDA regulations for food packaging. Ships factory direct.